Finally there is a book that applies the real premise of Nehemiah’s great work to believers today. Other books about Nehemiah approach this inspired writing to teach concepts about effective leadership. While it is true that the life of Nehemiah can teach us many lessons about leading others in times of great adversity, other books brush aside the historic topic of Nehemiah. Nehemiah is a case study in rebuilding after failure. 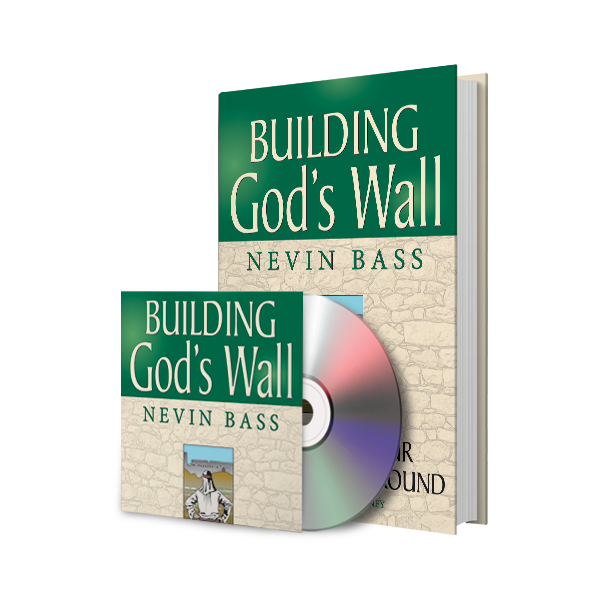 Building God’s Wall makes the lessons of rebuilding and renewal taught in Nehemiah understandable and practical. It is a manual for all those seeking restoration and renewal after a time of spiritual declension, as well as those who minister to them. This book guides the reader through the two major tasks of spiritual restoration, rebuilding boundaries and renewing covenant. In the process many important questions are answered – Why is worship without boundaries such a dangerous thing? What are the ten gates of worship and how do they lead to deeper spiritual life? What are the chambers of treasure and how must they be guarded? These and many other issues are addressed, explained, and applied to twenty-first century believers using sound exegesis of God’s timeless Word. The author has spent over twenty years helping people rebuild lives in his capacity as pastor of the church he founded. The lessons found in Building God’s Wall have been taught and applied through countless hours of counseling and preaching. Living and laboring where the rubber meets the road, the author understands how essential these concepts really are. Not only that, but he has seen these concepts achieve the desired results when practiced.